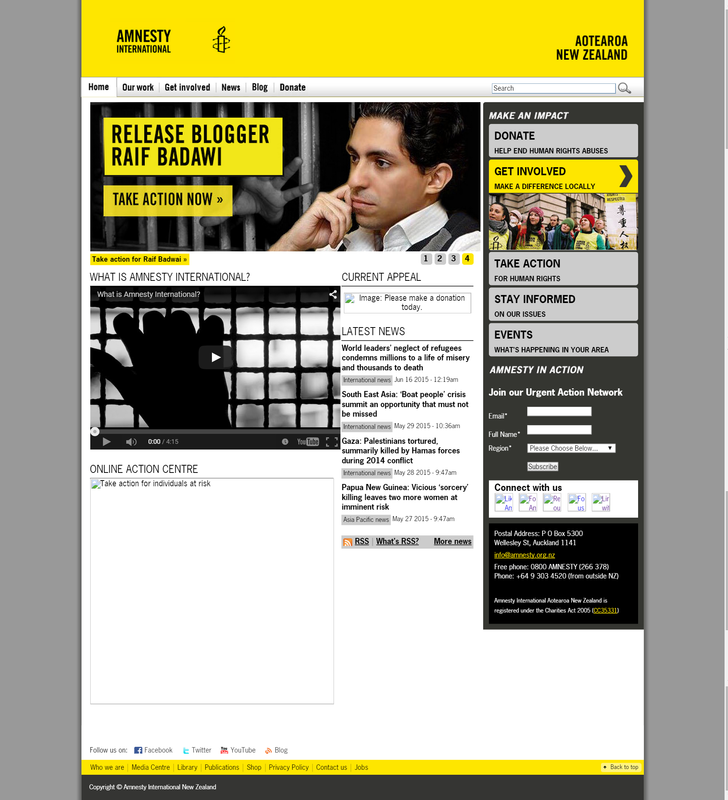 This week, after a hectic and crazy 9 months, the new amnesty.nz website launched! There have been blood, tears and sweat, and it has all been worth it. The main project manager is currently travelling through an area of the world that doesn’t like human rights, so I’ll wait till she lands somewhere safer before mentioning her 🙂 But you know who you are. The current digital manager has inherited a very nice website and only had a month or so working on the old site, so will probably never appreciate how awesome this upgrade is for us. Don’t get me wrong, I was intimately involved with the last upgrade, but it was 2009, so I won’t lie, it was time. A massive shout out has to go to our amazing partners. For those of you that are interested, here is a side-by-side comparison.